I always base my articles these days based on personal experience. I remember the worst year of my life since the war is over.... When I sprained both my ankles in a span of three months. You can imagine the pain I endure the first time around and I was livid to my self when my other ankle got sprained weeks later after my left one recovered. The first time I got sprained is a more painful experience than the second one because on the second one, I know what to do thanks to some doctor advice. Imagine all the pain I endured from my ligaments. Losing mobility is aso an experience I don't want everyone to experience. This is like the silver lining to that painful moment I get to experience twice because now I can make an article to advice people to not make my mistakes and have a faster recovery. 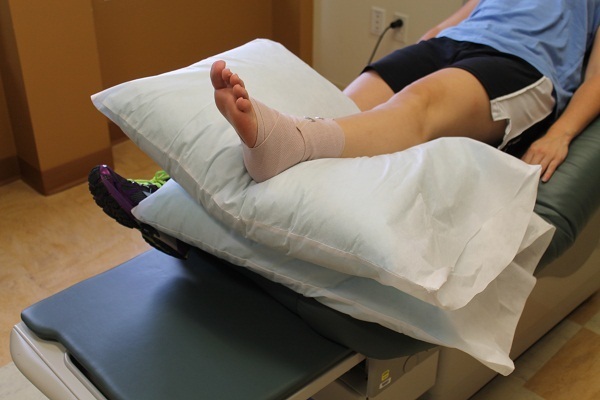 If you iced your sprained ankle as soon as possible, Your recovery time will be faster. My first injury, I didn't ice my foot, It got swollen a day later and walking is impossible because it hurts so bad. Even if I take pain killers I can still feel pain and heaviness because of the swelling. ON my second injury I iced it immediately and in just 5 days I can walk again and there is no swelling. I iced my foot every 15 minutes for 3 days and I notice a difference. Do not directly apply ice to your skin because it can cause a frostbite or make the pain worst. If you don't bandage your injured ankle, It will be swelling like crazy. It will also help you walk better on your way to the hospital or clinic.The bandaged helped me walk better during the times I endure the pain. 3. When you lie down or sit down, Make sure your injured foot is above your heart. That is what my doctor told me. Make it elevated. It will help introduce blood circulation on the nerves of your injured ankle and it prevents fluids from getting there. 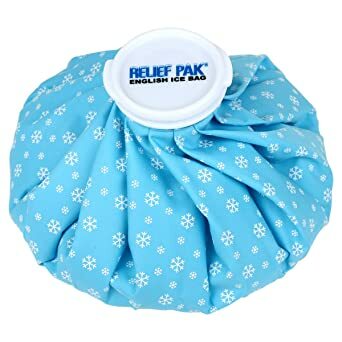 We know its the fluids that will make it swollen.You will spend most of your time sitting and lying down so make sure to elevate your injured foot. Putting in in the top of the pillow if one of the easiest way. 4. If you need to walk, Use a support while you walk. You can use crutches, canes or even a long wooden stick so your injured foot wont endure your weight. You don't want to renew your injury right? So do not let your injured foot carry your weight. Use a supporting tool like a crutch or cane. After this, I will make an article on how to prevent this injury because I don't want everyone to experience the pain I have gone through. 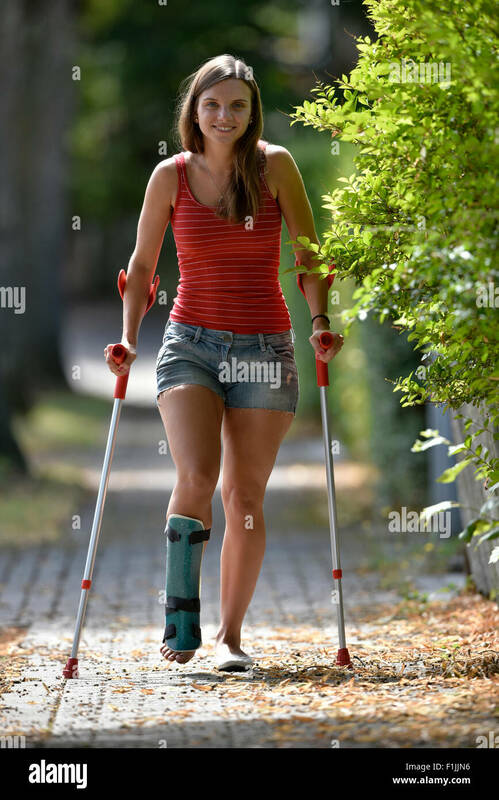 [img]https://familydoctor.org/wp-content/uploads/2017/02/shutterstock_147686156-705x470.jpg[/img] Imagine all the pain I endured from my ligaments. Losing mobility is aso an experience I don't want everyone to experience. ...and thanks for taking the doctor's advice to us. Yours is a decent layout of how to care for this kind of injury. It should be easy to remember these steps just in case. Sorry to hear about your ordeal but happy you made it through. Looking forward to the prevention article. This injury sounds simple but it is really painful. Icing is a step people should never skip because it is going to make a lot of difference. Such an experience can be very painful. Thanks for sharing this advice which could be used by many. Never sprained my ankle but have sprained other body parts. You're right about that icing. It's not optional. cmoneyspinner wrote: Never sprained my ankle but have sprained other body parts. You're right about that icing. It's not optional. My first time, I didnt ice, the swelling lasted 15 days! With icing you will be walking in 5 days. Whats In My Kitchen • Total Clicks: 51,775 • Total Links: 38 • Add Your Link!